The Center for Cosmetic Dentistry unveils a dynamic new website incorporating innovative features such as intuitive navigation, responsive design, and an interactive testimonial gallery. 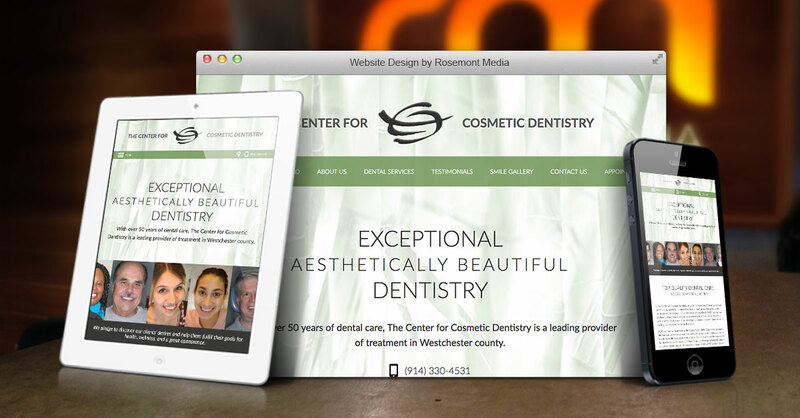 Westchester County, NY – White Plains cosmetic dentist Robert Rioseco, DMD, FAGD recently entrusted the full redesign and redevelopment of his dental website to the experienced team at Rosemont Media. Using a variety of cutting-edge website solutions, the goal of the project was to update and customize the design, functionality, and user experience of the site, while making it accessible to patients via both mobile devices and home computers. The new website for The Center for Cosmetic Dentistry reflects the practice’s patient-focused commitment to superior care, comprehensive education, and high-quality results. Dr. Rioseco’s recently launched responsive website displays a modern, streamlined design with subtle natural imagery that invokes the zen motif of his office. Like his practice, the central theme of the site focuses on the importance of the patient experience. As a special feature, the website offers an interactive, multimedia testimonial page highlighting the stories and smile transformations of many patients. 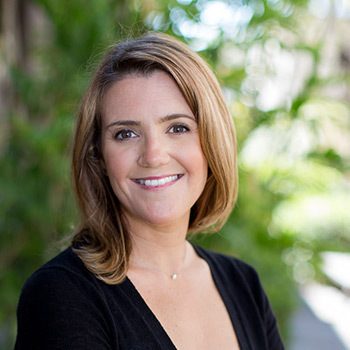 The majority of the carefully developed website content is dedicated to educating current and prospective patients about the advanced cosmetic and restorative dental procedures Dr. Rioseco performs. Each treatment is explained in detail to create an extensive informational resource where visitors can learn about their options. The intuitive navigation and dropdown menus make it simple to explore the website and easily locate specific topics and features. State-of-the-art dental technology plays a vital role in Dr. Rioseco’s practice, and as such, takes a prominent position within the website. Innovative systems, such as CEREC® digital dentistry, the BIOLASE® WaterLase© laser, and others, allow him to decrease procedural times, improve results, and make treatment more comfortable. These and other technological advancements are featured within the comprehensive “Our Technology” page and other dedicated pages, which are updated regularly as new systems are adopted. For Dr. Rioseco and his team, this new website marks a significant leap in advancing the practice’s online presence and marketing capabilities. Ultimately, they look forward to building new patient relationships and maintaining the loyalty of their long-time patients. For more than 25 years, The Center for Cosmetic Dentistry in West Harrison, New York has provided advanced cosmetic and restorative dentistry services, including porcelain veneers, dental implants, and porcelain crowns. In addition to treating patients from throughout the area, the state-of-the-art facility also contains a respected hands-on teaching program directed by head dentist Robert Rioseco, DMD, FAGD. Beyond receiving his dental degree from Tufts University School of Dental Medicine, Dr. Rioseco has undergone extensive training in advanced cosmetic dentistry techniques, is a Sustaining Member of the American Academy of Cosmetic Dentistry, and holds a Fellowship of the Academy of General Dentistry. For more information about The Center for Cosmetic Dentistry, please visit zendentist.com and facebook.com/TheCenterForCosmeticDentistry.